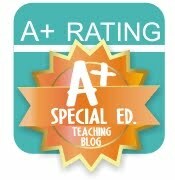 I survived 36 hours with my K-2 SPED class living on a ranch! The kids were shockingly good actually, but boy am I tired! I have some super cute pictures of the things we did, but to be perfectly honest, I'm pooped! I was up every 1-2 hours with homesick kids, thirsty kids, kids with stuffed up allergy noses from the pollen/hay who needed tissues and kids woken up by other kids who woke up. None of which are kids being "bad," but that doesn't make it any less tiring. So since I'm too tired to write anymore tonight, you'll have to wait until Successful Saturday for the full story. Don't forget, you can get your success stories ready too, and link up! In the mean time, I'm leaving you with the *freebie* from Monday in case you missed it! 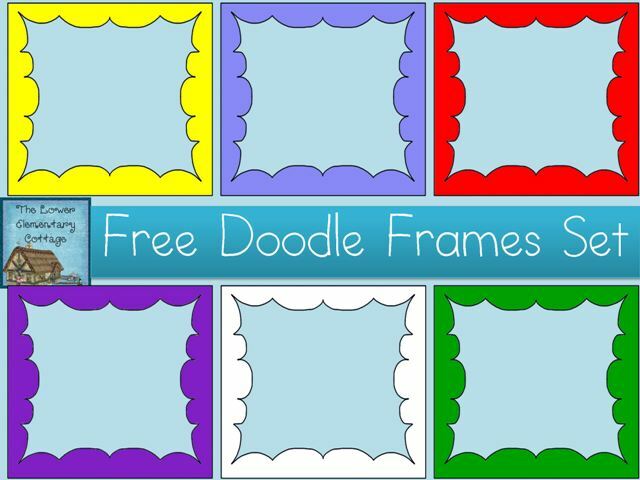 These handy dandy doodle frames are in PNG format so you can resize them as needed. Now to decide which clip art collection to create next. Any preferences? Also, don't forget about the 3 month subscription Conscious Box is letting me give away!! See this post for full details. Plus there if you check out that post you'll get the code for 50% OFF any subscription to Conscious Box! There may be one more giveaway on my blog this weekend! It's all ready to go and as soon as I hit 200 followers I'll post all the great things being given away by me and 7 other amazing bloggers! Any good field trip stories? Have you ever taken your class on an overnight trip? If so, what grade? I have never taken my class on an overnight field trip. One of my favorite spring field trips though is visiting the strawberry patch. It was so much fun last year and the kids had a blast. I love going on the strawberry patch trip too! I always get the best pictures of my class in the fields! 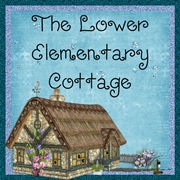 You are one courageous girl taking K-2 on an overnight trip! I have done many overnighters and even 3-4 dayers with my girl scouts (when I was a leader) but not my class! We are actually going on our field trip next Thursday to our local TV broadcasting station and then out for pizza! A TV station?! That sounds sooo cool! I don't think I could handle 3-4 days, I'm tired after 2!